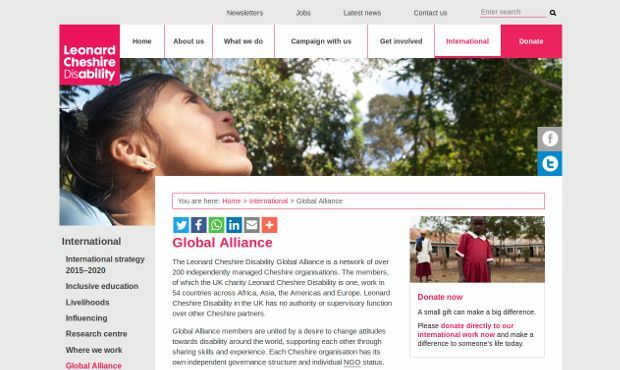 Young Voices is a campaigning project of the Leonard Cheshire Disability Global Alliance. It brings together groups of young people with disabilities from 23 countries across Africa, Asia and the Americas. Their groups meet regularly and discuss issues that affect their lives, develop our understanding of the UN Convention on the Rights of Persons with Disabilities (UNCRPD) as well as build their leadership and communication skills. They also campaign for equal opportunities for persons with disabilities and our full participation in all walks of life. The movement was born in 2006 when Leonard Cheshire Disability supported them to be involved in the process of drafting the UN Convention on the Rights of Persons with Disabilities. This Convention calls for every country to make sure that people with disabilities have the same opportunities as everybody else. But this Convention is no more than a piece of paper if people don’t speak out and take action to make it real.